BOBOVR Z4 High Quality Google Cardboard VR with Head Strap & Headphones! Supreme Lens Material: It is made of high quality ABS and 42mm diameter environmental spherical resin lens material,which can lower down the distortion to the minimum when magnifying images, so you will not feel dizzy even with wearing it for a long time. 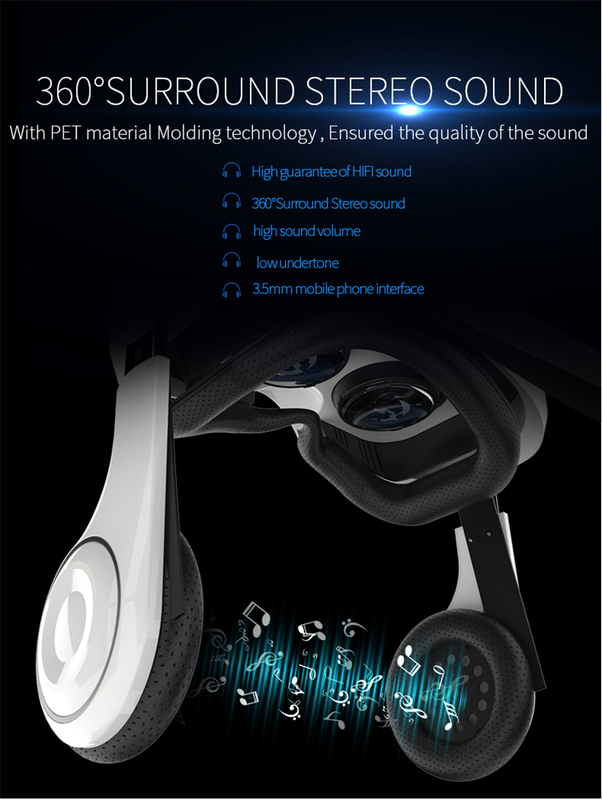 720°Surrounded Stereo: BOBOVR Z4 is provided with 720° surrounded stereo, it can restore real sound, and the HIFI earflap can isolate the noise. Heat Dissipation Design: Different from other enclosed VR headset, BOBOVR Z4 can help cool your phone when using it, which effectively avoids heat. Adjustable Headband: This light Z4 also carries out the weight ratio improvement again, long-time wearing will greatly reduce the head fatigue. 120°Immersive FOV: Anti-distorted arc correction technology makes 120° big view more real and clear, 42mm aspheric lenses is a perfect match with 0.39mm color difference. Focal length: Myopia adjusts 0-600°, hyperopia adjusts 0-200°.